The Las Vegas Review-Journal (R-J) was sold to the family of casino billionaire Sheldon Adelson two weeks ago for $140 million. The details of the sale went undisclosed for nearly a week as rumors and speculation mounted among R-J journalists and outside media groups. It’s never good when a newspaper itself is making more headlines than the actual news. Last Thursday, the Adelson family confirmed the purchase but said it wasn’t their intention to keep the deal secret. Less than a week since that message was published, R-J Editor Mike Hengel is walking away after leading the newspaper for five years. On Tuesday evening, Hengel told his staff that the decision is mutual and he is not being forced out. 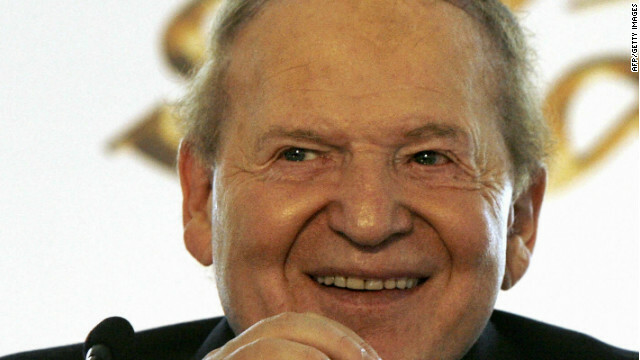 Online poker advocates are most concerned with the R-J sale to Adelson in how it might aid the advancement of the Restoration of America’s Wire Act (RAWA), the federal legislation that would make Internet gambling illegal in all 50 states. Senator Lindsey Graham (R-South Carolina) and Representative Jason Chaffetz (R-Utah) are leading its efforts in Congress, both legislators repeatedly introducing the bill to their respective chambers in 2014 and 2015. Though not as well known to the public as other GOP heavyweights like the Koch brothers, Adelson is becoming increasingly visible. During the 2012 presidential season, he and his wife Miriam gave upwards of $100 million to Republican Party candidates, the most by any single donor. Owning the largest newspaper in Nevada, a key swing state, could provide additional power by way of the media to a man who already has more than his fair share of influence. Donald Trump has surprisingly commanded the GOP 2016 primary field to date, but Senators Marco Rubio (Florida) and Ted Cruz (Texas) have slowly gained traction. According to the rumor mill surrounding Adelson’s camp, the $30 billion man reportedly prefers a Rubio ticket to challenge likely Democrat nominee Hillary Clinton. Rubio decided to co-sponsor Graham’s reintroduction of RAWA last March, perhaps a telling sign that the Florida congressman is appealing to Adelson. That tune might change with millions of dollars on the line and ample editorial space in a key swing state’s most-read daily newspaper.